Glenville House is a delightful Victorian house, built in local stone well over a century ago and full of character and charm, lovingly refurbished, with colourful award-winning garden in an idyllic riverside setting at the beginning of the beautiful river valley walk to Watersmeet, the deepest natural gorge in England. 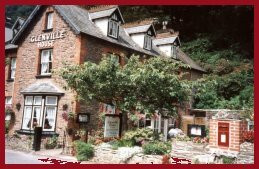 The scenic village of Lynmouth is nestled in a wooded valley where the East and West Lyn Rivers meet the sea in one of the most stunning areas within the Exmoor National Park and has the most spectacular and dramatic scenery along the North Devon coast. A haven of peace and tranquility - a very special place. 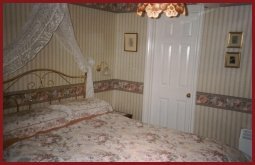 All bedrooms, one of which is on the ground floor, are tastefully decorated with co-ordinated furnishings, all with pretty en-suites or private facilities, and with clock /radios, hairdryers, tea/coffee making and TV (en-suites). You can enjoy a four-course breakfast in our attractive dining room and we have an elegant lounge overlooking the river for those wishing to relax in the evening. With its original fishing cottages, picturesque village, enchanting harbour flanked by mature wooded slopes and unique water-powered cliff railway, a relaxing break in a romantic setting awaits you. Lynmouth is steeped in history from the smugglers in bygone days to the poets, Wordsworth, Coleridge and Shelley who honeymooned here with his young bride in 1812 - all were inspired by the beauty and serenity of the area. 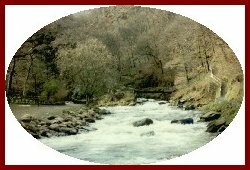 There is an abundance of riverside, woodland and magnificent coastal walks with breathtaking views of the rugged clifftops and secluded bays to the peaceful heather-clad moorland with Exmoor ponies, deer and a variety of birds and wildlife making this unique area a paradise for ramblers and country lovers. Visit the Valley of Rocks with its interesting rock formations or take a boat trip from the harbour along our Heritage Coast. We will ensure warm hospitality, excellent food and personal attention to make your stay memorable and are renowned for our high standards of hygiene and cleanliness. 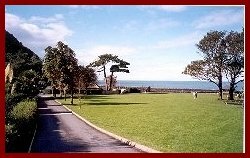 We will be only too pleased to help with local walks or tours by car during your stay with us in Lynmouth.